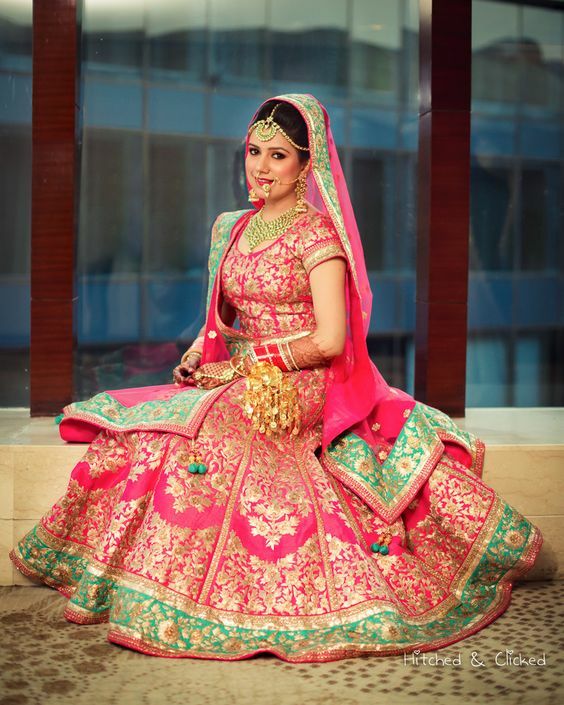 Check out this year’s best of the best bridal lehengas in traditional and modern styles! Today’s most loved wedding attire is the bridal lehenga. Every bride wants to pick out the perfect lehenga with the best cut and the most vibrant color to make her perfect day even more special. 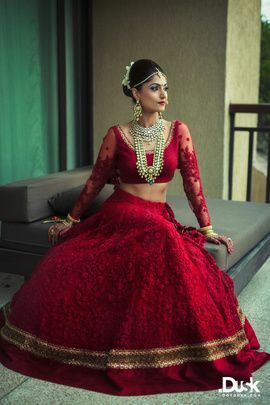 The lehenga style outfit dates back to the Mughal times, but today’s fashion experts have given it their own special touches and there are many options available from traditional to modern styles. To make sure you make the right choice, here is a lehenga style guide for you. Start off by deciding the type of lehenga you want to wear – whether you want something that is traditional or more contemporary. 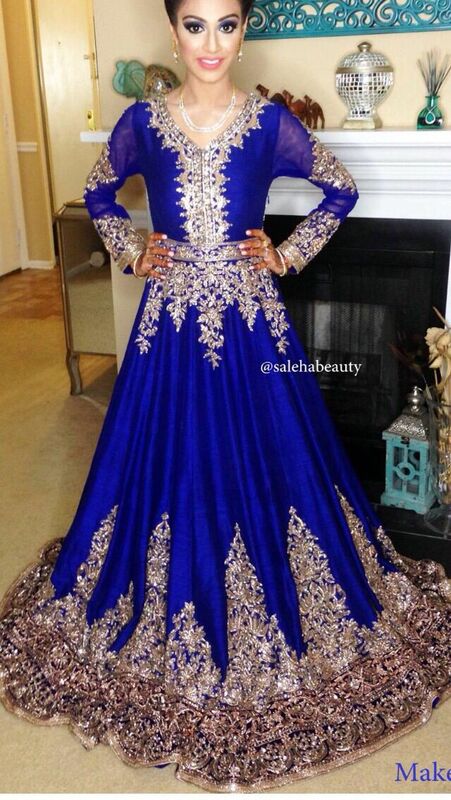 Once you know your lehenga style, it will be a lot easier to make the final choice. You could even mix and match by opting for a traditional color and pattern such as red, but cut in a modern style. Take your pick! Next, start by thinking of the color you want to wear. Based on your skin tone, hair color and time of the day when the ceremony will occur, you need to pick out the most ideal color. Opt for darker colors for events happening in the evening or at night, and choose pastels for day events. If you have fair skin opt for shades of orange, red, yellow or pink, whereas for darker skin tones turquoise, sea green, blue will look wonderful. Next step is choosing the shape of the lehenga and here there are many styles. You can opt for a flared skirt lehenga for a grand look, or go for a mermaid style skirt which hugs the hips and waists till the knees and then flares at the bottom. You can even choose an A line skirt which sits right at your hip to slim down your figure or go for a straight skirt to show off your shape. Now it is important to consider the material you choose as there are many available. If you want something rich and grand for the wedding ceremony then opt for silk or brocade material. For a fun and flirty event like the sangeet, you can choose a vivacious chiffon lehenga. Now that we are done with the shape, cut and color, next comes the blouse design. Here you can really showcase your creativity. Choose from backless, strapless, crop top or full sleeved blouses and find the one that flatters your figure the most. Remember to choose a style that you will be absolutely comfortable in. Now comes the dupatta draping. There are many ways to drape the dupatta – you can wear it in a saree style, throw it over one shoulder or even hook it near the elbows and drape it from the back. The dupatta can be the element that adds the wow factor to your entire outfit, so make sure to be creative. And who says your dupatta always has to match. Try some quirky new styles by opting for a dupatta that stands out from the rest of the outfit and makes you stand out from the crowd. So now that all your elements are in place, choose the perfect shoes, do your hair and makeup and get ready to look gorgeous on your big day!